Los Alamos, New Mexico-based UbiQD has reached an agreement with Western Washington University and the University of Washington to exclusively license groundbreaking luminescent solar concentrator (LSC) technology developed at the two schools. Unlike typical heavy opaque solar panels, this technology is partially transparent and lightweight, enabling windows or other surfaces, such as building facades, to become solar collectors. Developed at Western’s Advanced Materials Science and Engineering Center (AMSEC) and the University of Washington via funding from the National Science Foundation, Hunter McDaniel, founder and CEO of UbiQD, said the technology has the potential to disrupt the way we think about energy. 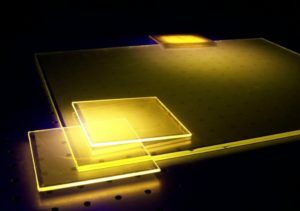 “We envision a world where sunlight harvesting is ubiquitous, a future where our cities are powered by quantum dot-tinted glass on skyscrapers,” said McDaniel. “UbiQD is making tremendous progress already in translating quantum dots and LSC tech into viable products and a scalable business model,” he said. WWU Professor of Chemistry David Patrick said the agreement with UbiQD is significant because it shows how laboratory discoveries can be translated to the marketplace, and ultimately impact jobs and the economy. “The fact that so many Western undergraduate students participated in the research, development and demonstration of this technology speaks volumes for the importance of our public institutions’ roles as innovators and partners with entrepreneurs in the private sector like UbiQD,” he said. Forest Bohrer, manager of Innovation Development at the University of Washington’s CoMotion Innovation Center, agreed. “It has been a pleasure working with Western Washington University to license this technology, and it is quite exciting to see research with substantial undergrad contributions make the leap to commercial application,” said Bohrer. About UbiQD UbiQD is a nanotechnology development company based in Los Alamos, New Mexico that manufactures low-hazard quantum dots and nanocomposites primarily for energy applications. 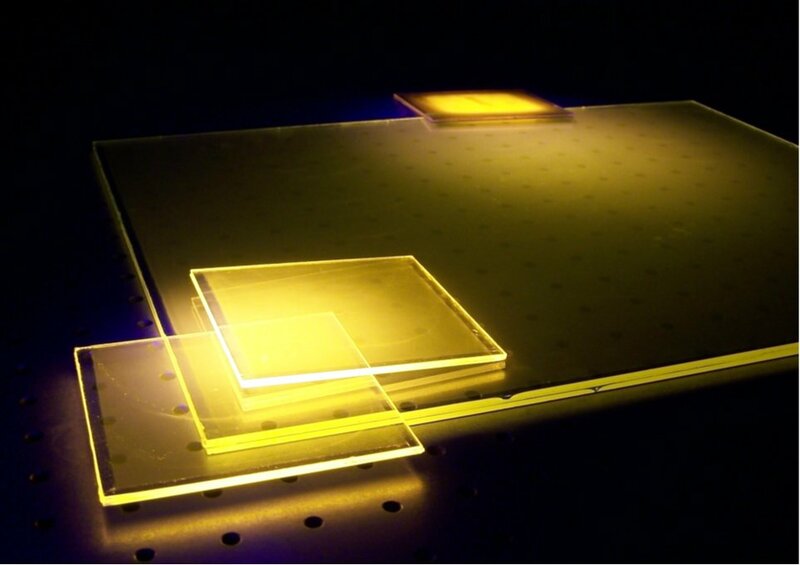 While the company’s primary focus is on luminescent solar concentrator technology for windows, UbiQD also sells materials for other applications and R&D purposes. For more information visit www.UbiQD.com. About CoMotion CoMotion at the University of Washington (UW) is the collaborative innovation hub dedicated to expanding the economic and societal impact of the UW community. By developing and connecting to local and global innovation ecosystems, CoMotion helps innovators achieve the greatest impact from their discoveries. We deliver the tools and connections UW researchers and students need to accelerate the impact of their innovations. About AMSEC AMSEC is an interdisciplinary center in Western Washington University’s College of Sciences and Engineering with a mission to educate students, promote collaborative research, and help regional materials technology companies innovate. The Center works with regional companies by providing access to specialized equipment, faculty expertise and consulting, student internships, and assistance with R&D.